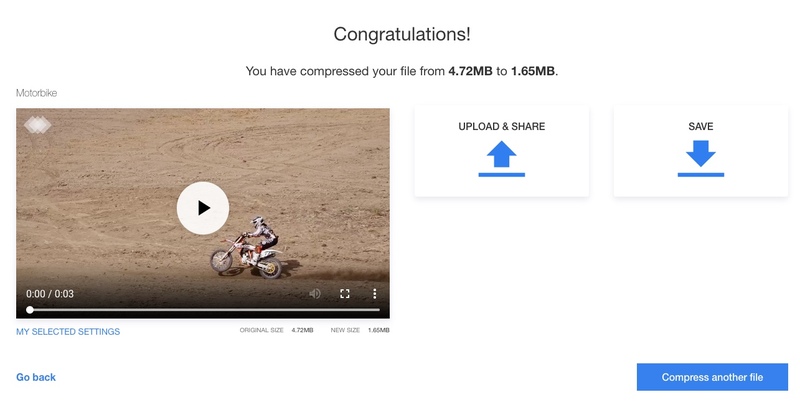 Clipchamp Utilities is an online video compression tool that converts your video into an MP4, WMV or WebM file and in most cases, compresses it to make it a lot smaller. 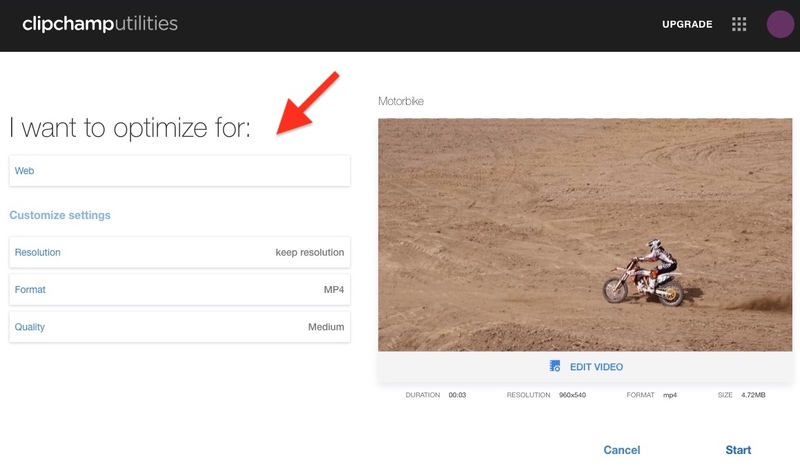 Once you've signed in at https://util.clipchamp.com/ and selected your video file, it will load on the page and you will see your available output settings under "I want to optimize for". 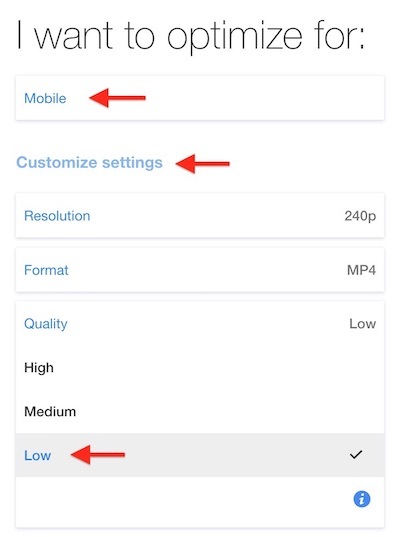 The quality and size of the final output video will depend on the settings you choose (and on the input video). If you're not sure what to choose, it's best to give it a try with our standard default settings and see if you're happy with the result. If not, try a different output setting. NOTE: changing the resolution may significantly reduce the quality of the resulting video, especially when played on large screens. Unless you need a very small video size, we suggest choosing "keep resolution" to avoid visible quality loss. Click Start and your video will begin compressing. Once it's finished you'll be taken to a screen where you can save it to your computer or share it online. 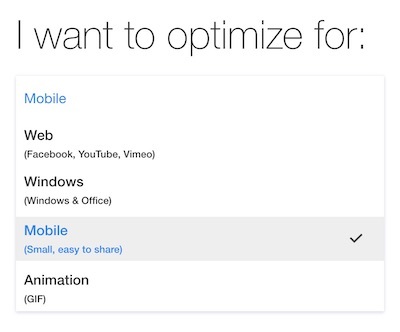 You'll also see how your file size has changed. If you're using the free version, there will be a small watermark in the top left of the final video (shown below). If you don't want watermarks in your compressed videos you can upgrade to the Utilities Business Plan. Please note that some conversions might not result in a smaller output file size due to the type of input file (i.e. its original resolution, video and audio codec) and a number of other factors.